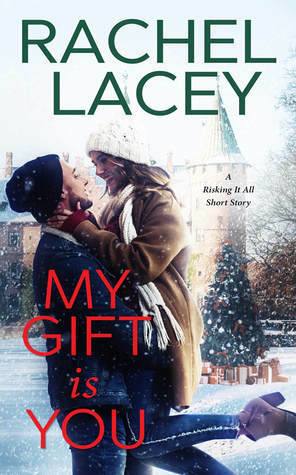 Not only was My Gift is You adorable, but it also connects one of my favorite Rachel Lacey series to her new series, which I am already enjoying. I loved the characters. Mandy and Calvin were super cute. I do wish we had gotten to spend more time with them, but I'm glad to have met them. I also love the updates we get on the previous couples from Lacey's Risking It All series. Yay for Carly and Sam's wedding! My Gift is You was just a fun little holiday novella that I loved reading. If you're a fan of the Risking It All series, then this book is a must. If you're new to Rachel's writing, you can still pick this on up before jumping into either series. It gives you a bit of an insight on both series. Plus all the holiday fun!